Darkest Dungeon’s 3,000+ Negative Reviews: Too Difficult to be Fun? 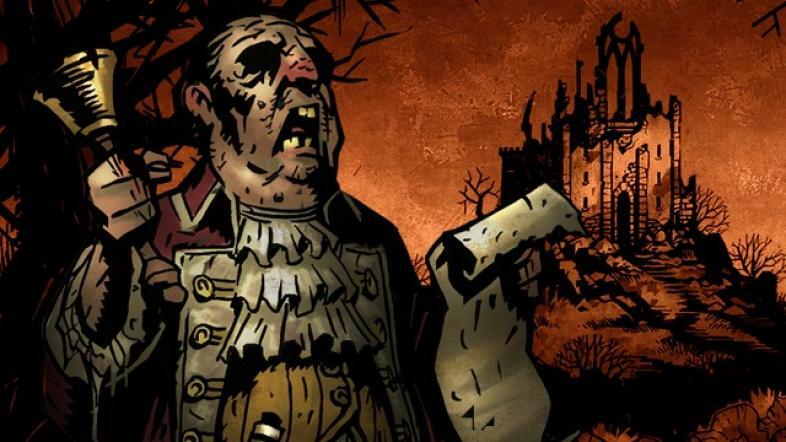 Hear ye, hear ye, will Darkest Dungeon be declared to sucketh by all the gamers of the land? Can the Difficulty of a Game Ruin the Experience? Darkest Dungeon stands as one of the most successful and noteworthy products to be produced through crowdfunding and Steam’s Early Access system, providing a challenging game that constantly tests its players and engulfs them in a dark, oppressive atmosphere. Many people view these as admirable traits for a game, and some have even likened it to Dark Souls, which is marketed on its extreme difficulty. Darkest Dungeon has received a lot of criticism however, with several features being called out for being imbalanced or unfair. Most of the recent reviews on Steam have been overwhelmingly negative, saying that the difficulty is just not worth the effort of playing the game. Can a game really be so difficult that it removes its ability to be fun? A heart attack at an inopportune moment can cause certain death in a hero, and doom his entire party. A major portion of the game is managing your heroes’ stress, which simulates their emotional and psychological responses to the horrors of the dungeon. Players have to heal their players stress or risk them having a heart attack, which removes all a character’s health the first time and permanently kills him the second. The stress a character receives increases at higher level dungeons, and many players point to this when saying the game is too difficult. There are several classes which possess stress heal abilities, as well as providing buffs to protect against it. Keeping well stocked on torches also allows a player to reduce the amount of stress the adventurers receive. Other items available from the store can be used to activate curios scattered throughout the dungeon, healing stress and giving a number of buffs. The corpses, while considered a hassle to some, do connect thematically with the game’s promise of doom and despair. What’s more grimdark than battle-hardened warriors fighting their way through walls of dead bodies. The corpse mechanic was introduced in order to allow enemy formations to hold together better, thus letting them use their best abilities to challenge player heroes. Some people argue that the corpses make the game too challenging because they could no longer ruin enemy formations. Others said that it wasn’t fair that corpses didn’t apply to adventurer parties, causing classes who can’t operate in the first few rows useless. It should be mentioned that due to complaints about these mechanics the developers added options to disable them, as well as options for removing other aspects of stress and combat that affect the difficulty. Some classes also have access to powers that remove corpses from the battlefield. Is there really no hope when a few bad rolls of the dice can bring destruction to an otherwise well prepared party? Many people point to the RNG as a strong weakness of Darkest Dungeon. The argument is typically that no matter how well armored or trained your characters are, a string of bad luck can kill them, making all the hard work to create that character wasted. The RNG is certainly unforgiving, but then the game does say that heroes will die, and that you will most certainly fail quests. Darkest Dungeon is, in its own words, about making the best of a bad situation, so there’s very little deception into making people believe this is going to be an easy game. The key to overcoming these many challenges is planning. Part of the player’s responsibility when preparing their adventurer’s party is to make sure that they are versatile and well supplied. The chance of failure is always there, and goes with the game’s dark themes, so the player is always forced to make the decisions based on risk versus reward. In the end, the many adversities players face in Darkest Dungeon have a number of solutions that they can take advantage of. Those challenges make the player work hard to get victory, and that just deepens the satisfaction they feel when that hard work finally culminates.